Just in time for taxes! The Irish obviously paid taxes around this time of year, too. Why else would they be chasing leprechauns around for a pot of gold? May yours be a happy and safe St. Patrick's Day. Start it with a smile by watching the video below. May those who love us, love us; and those who do not love us, may God turn their hearts. And if he does not turn their hearts, may he turn their ankles, so we'll know them by their limping. 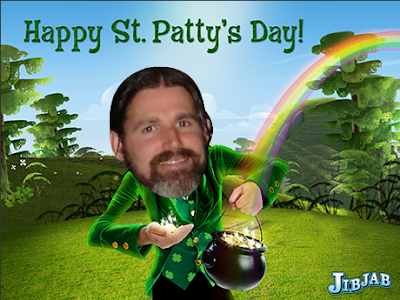 Happy St. Patrick's...by the way, almost pee'd laughing!